Melanie is the Chief Operating Officer of GE Appliances, a Haier company, and is part of the Executive Council. She is responsible for operational excellence across Supply Chain, Sourcing, Services, Distribution, Quality and Information Technology. 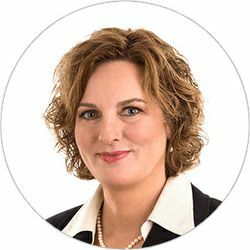 Melanie has over 23 years of experience and is skilled in leading profit & loss centers, lifecycle product management, new product development, organizational alignment, global sourcing, and continuous operational improvement. Some of Melanie’s past positions include Executive Audit Manager for GE Capital Europe; President, Azdel Inc.; Global Marketing Director at GE Plastics; General Manager, Industrial Communications at GE Energy and General Manager, Cooking Products at GE Appliances. She was most recently Vice President, Sourcing, at GE Appliances. Melanie serves as a Trustee on the board of Family Scholar House, whose mission is to end the cycle of poverty through education, and is the current Chair for the Association of Home Appliance Manufacturers. She is also on the Board of Directors for Mabe, a leading appliance manufacturer based in Mexico. She has recently been appointed to the Board of Directors for NAM, the National Association of Manufacturers. She holds a Bachelor of Science in Business Administration, with a specialty in Decision and Information Sciences from the University of Florida. Melanie and her husband Brian have two children and reside in Louisville, Kentucky.